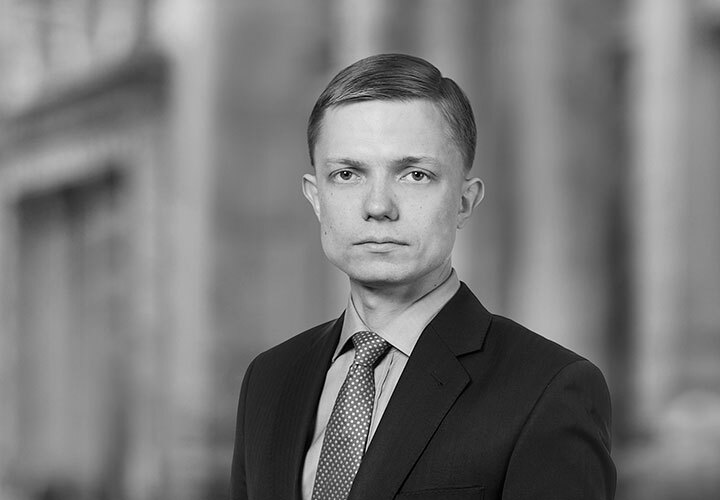 Petr Šmerkl, an associate of the Prague office, is a member of the Banking and Finance Practice Group. Petr joined the Prague office as an advocate trainee in 2014, having completed post-graduate studies at University College London in the United Kingdom. 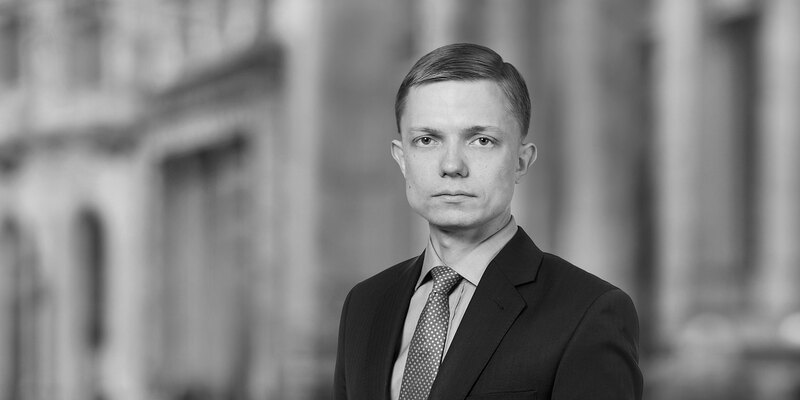 Before joining White & Case, Petr worked for a year as an advocate trainee in a Czech law firm, where he focused primarily on contractual, litigation and insolvency issues. Alongside his studies at the Faculty of Law of Masaryk University, Petr worked for almost two years as a legal intern in the Prague office of an international law firm, where he focused on commercial law issues and the laws governing the protection of international investment. Representation of Macquarie Infrastructure and Real Assets (MIRA) in connection with the 100% acquisition of a €79 million portfolio of logistics and light industrial assets in the Czech Republic and Slovakia. Representation of UniCredit Bank Czech Republic and Slovakia, a.s. and Komerční banka, a.s. as Joint Lead Managers on the public offering of CZK 1 billion (equivalent to approximately EUR 37 million) floating rate bonds due 2021 issued by HB Reavis Finance CZ, s.r.o., a member of the leading Central Europe real estate development group HB Reavis. Acting as transaction counsel in the CZK 2bn issue of guaranteed bonds due in 2023 issued by PASSERINVEST FINANCE, a.s., a member of a leading real estate development group in the Czech Republic. The bonds are listed on the Prague Stock Exchange. Representation of Česká spořitelna, a.s. in connection with the refinancing of Enercap wind farm located in Horni Lodenice. Representing České dráhy, a.s., the Czech national railway transport operator, as issuer, in connection with the issue of EUR 400 million 1.875 per cent notes due 2023 and their admission to trading on the Luxembourg Stock Exchange. Representation of private equity-backed security software maker Avast Software, in relation to the financing of its purchase of AVG Technologies NV for $1.3 billion. Representing P3 Logistic Parks (P3) and leading global investment company TPG Real Estate (the previous owner of P3 alongside Ivanhoé Cambridge) on the financing aspects of the sale of P3 to GIC, a sovereign wealth fund established by the government of Singapore. Representation of UniCredit Bank Czech Republic and Slovakia, a.s. in connection with the provision of a loan to Residence LA CRONE PRAHA 6 s.r.o. for the purpose of financing the development of the eponymous project. Representation of Česká spořitelna, a.s. in connection with the financing for the development of Office Park Nové Butovice. Representation of Česká spořitelna, a.s. in connection with the financing for the acquisition of Futurama Office Centre in Prague and refinancing of its existing indebtedness. Representing the Czech Banking Association in connection with preparation of a Code of Conduct regarding the Prague InterBank Offered Rate (PRIBOR). Represented HP Pelzer Holding GmbH – Adler Pelzer Group in connection with its €350 million 4.125% Senior Secured Notes due 2024, which were issued pursuant to Rule 144A and Regulation S under the Securities Act.